New to the Roblox world and don’t know where to begin? In this article, we provide you with the basics and a general overview of this extremely popular online game platform, plus some really useful tips on how to handle the (not as much as you may think) arduous task of making a Roblox game. 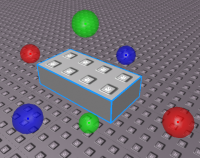 Roblox is a multiplayer online game platform that allows users all around the world to play an extensive variety of games, and most importantly, allows people to create and design their own games for others to play. More often than not Roblox is said to be a mix between LEGO and Minecraft; and while games in the Roblox world are created using LEGO-like bricks which are then used in a 3D procedurally generated world very similar to Minecraft’s, what keeps the platform with a constant of millions of monthly users, is the possibility of creating a game based solely on their imagination. The Roblox frenzy, with an enormous fan base that rivals that of Minecraft’s, is also fueled by the prospect of earning money by each game created; so much so, that there are users making a living out of developing Roblox games, earning up to $10,000 per month, even allowing one user to cover the entire cost of his undergraduate education. 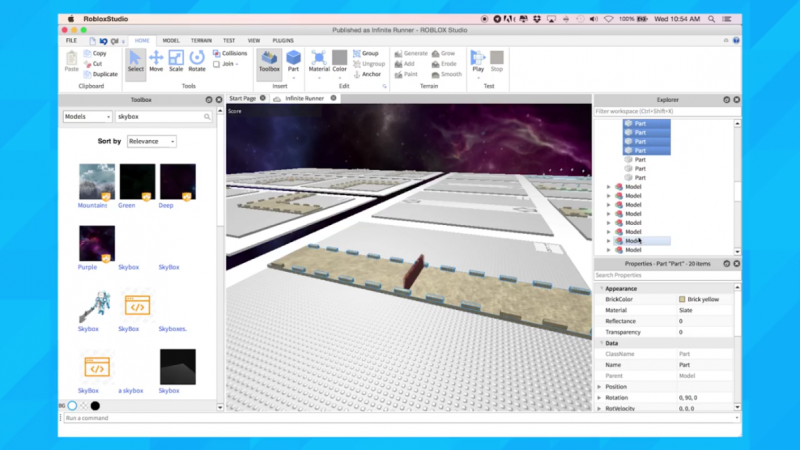 Roblox also comes equipped with its own game-developing interface, called Roblox Studio, which is responsible for delivering all the necessary tools for users to design and create all kinds of games and a Roblox Studiodventures for others to participate and venture in. 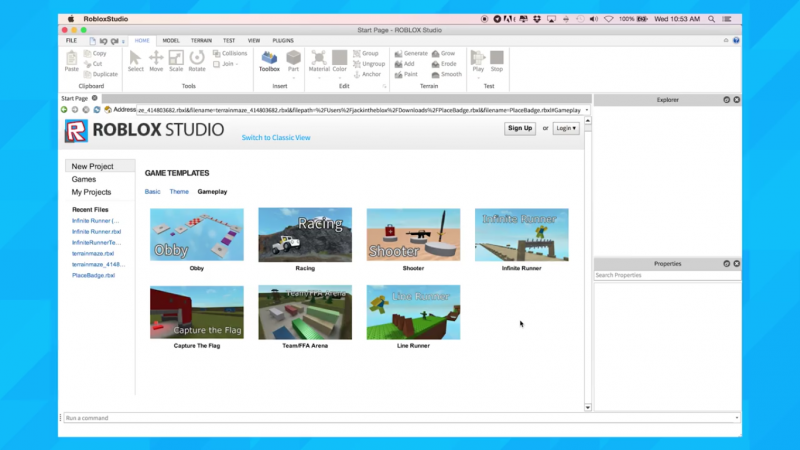 Roblox Studio is where all the magic happens: Building entire new worlds, designing game models, uploading objects so other users can use them; all of that coupled with tutorials and resources to guide you through the process. If you’re 100% a beginner in Roblox, the first step would be to register and create an account with your username. The next step is to open Roblox Studio and decide whether you want to pick a template or start creating your game from scratch. You’ll have two available template options: Theme Templates, where the focus is on the aesthetics of the game (city theme, medieval theme, etc); and Gameplay Templates, if you want to focus more on the purpose of the game (racing game, obby game, shooting game, etc). It is highly recommended for beginners to choose a Gameplay Template since they are ready to be played and also they come packed with lots of features and codes that may be too much for a newbie to handle. 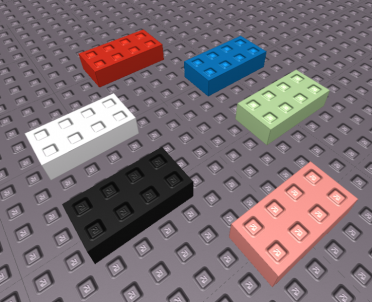 Add an item or a “part”: These are the LEGO-like “bricks” we talked to you about previously, i.e. 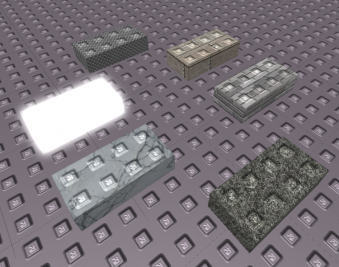 the foundation of the building process in Roblox. You can choose between a block, sphere, wedge or cylinder. And since they are such basic shapes, you can combine them into more complex ones along the way, as you deem fit. 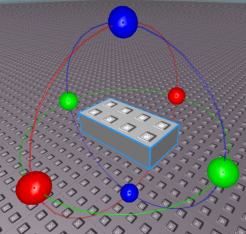 Move a part: Lets you move any item along its three axes. 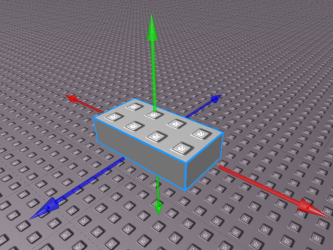 Rotate a part: Lets you rotate any item along its three axes. Scale icon: Resize your icons, making them bigger or smaller with the Scale icon. 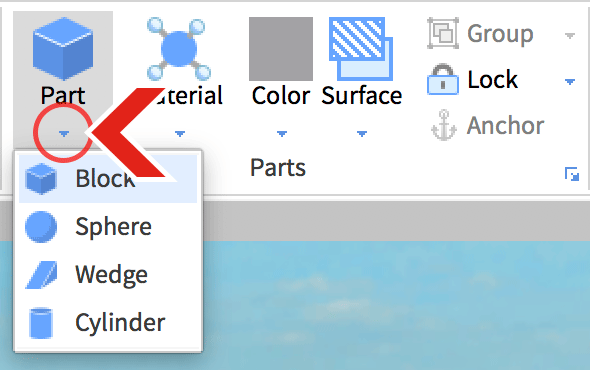 Color icon: Lets you change the color of your parts. Material Icon: Choose from a varied array of materials available for any section of your game. Toolbox icon: You can use this icon to perform a series of actions, but one the most useful and fun for beginners is the feature that allows you to change and personalize how the sky in the game looks. And that’s it! Using those 7 icons you will have your first game finished and ready to go in no time, personalized with what you think might fit best in it. The final step is to play-test the game by clicking on the Play icon and in doing this you’ll be able to evaluate your game’s overall performance.